This is our darkest henna herbal product. A combo of Indigo and Henna create this deep ebony classic. Indigo fights for the dark reflective cool shades, while henna battles for the vivid auburn warm notes. Using our balanced proprietary combo (and some time & natural oxidation) they blend into a beautiful deep black. Color Note: Very light beards (gray to blonde) may require two applications for richest black color. 2 Step recommended for very light hair. More in the description below. 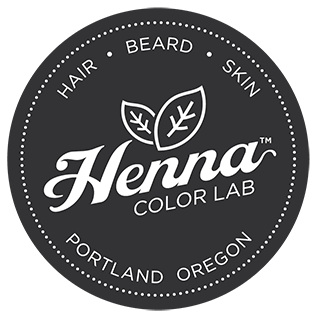 This is our darkest henna product. A combo of Indigo and Henna create this deep ebony classic. Indigo fights for the dark reflective cool shades, while henna battles for the vivid auburn warm notes. Using our balanced proprietary combo (and some time & natural oxidation) they blend into a beautiful deep black. 1) Apply Pure Henna First, then 2) Pure Indigo Second. This product has exceeded my expectation. I use to use just for men and luckily by chance only used in a few times and then I found this product and I am very happy with the color and quality. It takes one hour on your face as suggested and it works very well. No burning and stinging and the end result is very successful. Works pretty well. If you’re going for a salt and pepper look just apply a lighter coat. Wasn’t as messy as I anticipated. The smell was quite earthy but I wouldn’t consider it unpleasant. Beard felt a little stiff after rinsing and some gray areas may appear green initially but will fade in a short amount of time.